On the morning of 11 February, when the executive director of the gravitational wave experiment LIGO, David Rietze, announced the greatest scientific discovery of the century -- the first detection of gravitational waves -- at the National Press Club in Washington DC, there was one Indian at the front row, who carried with him the legacy of Indian science. Bala R Iyer, a senior professor from Bangalore and chair of the Indian Initiative in Gravitational-Wave Observation (IndIGO), has spent decades of his research in modelling the gravitational waves from a pair of black holes, similar to the one we detected on 14 September, 2015. The observed gravitational waves from black hole collision is such a landmark feat that future historians will mark this as a transition much like BC to AD in mankind's understanding of the universe. And when a future Ramachandra Guha will discuss the role India played in this discovery, the first scientist's name to emerge in the list should not surprise any Indian. Exactly 77 years ago before this historical announcement, an emerging young Indian physicist at Cambridge, who had already marked his place in the international arena of quantum physics, decided to come back to his hometown, Bombay. At a time when all other important Indians were occupied with freedom struggle, this man came to Swadeshwith an aspiration of starting a fundamental physics research centre. Modern India owes big thanks to this man, Homi Jehangir Bhabha, for making that bold career move, because of which India has been part of every historical scientific feat in the last 50 years -- from the first independent test of the nuclear bomb, to the first success on Mars, and now with the future of astrophysics relying very crucially in the hands of LIGO India project. Bhabha was rather like Rancho of 3 Idiots. Belonging to an influential Parsi family closely related to the Tatas, he was set to pursue metallurgy and lead the Tata Steel Mills at Jamshedpur. Instead, like a classic rebel, he went on to study cosmic rays at the iconic Cavendish Laboratory in the University of Cambridge and computed the interaction between electron and its antimatter (positron), which in his honour is named as the 'Bhabha Scattering'. 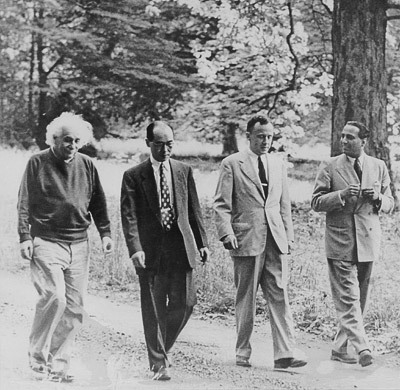 At Cambridge, Bhabha interacted with legends of physics like Niels Bohr, Paul Dirac and Enrico Fermi. It is said he was well aware of the Manhattan Nuclear Bomb project by noticing a sudden absence in the scientific publications of his fellow physics buddies. When Bhabha returned to India in 1939, he soon became a close ally of emerging Congress Party leader, Jawaharlal Nehru. For Nehru, Bhabha proved to be his intellectual soul mate. Unlike any other leader or scientist of the time, Bhabha had the vision and technical skill to develop an ambitious nuclear program that was required to preserve the sovereignty of independent India. And with Nehru at the helm of affairs post-independence, Bhabha had a free hand to chart the path for modern India's role in science and technology. Over the last 70 years, TIFR, where Bhabha served as the founding director, has nurtured world class researchers in the field of Einsteinian relativity. "It is neither possible nor desirable to separate nuclear physics from cosmic rays since the two are closely connected theoretically." Over the last 70 years, TIFR, where Bhabha served as the founding director, has nurtured world class researchers in the field of Einsteinian relativity. In 2007, TIFR opened a new campus in Bangalore -- the International Centre for Theoretical Sciences -- where the chair of IndIGO consortium, Bala Iyer is leading the effort for the LIGO-India project. The legendary Indian cosmologist Jayant Narlikar (Padma Vibhushan) started his career at TIFR and later formed the Inter University Centre for Astronomy and Astrophysics (IUCAA) in Pune in 1988. 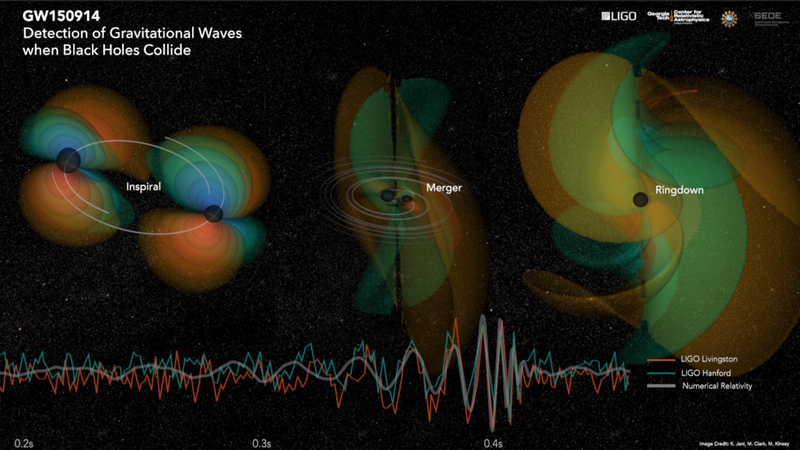 The team at IUCAA, led by one of the leaders in space-based gravitational-wave experiments, Sanjeev Dhurandhar, will lead the gravitational-wave data-analysis effort for the proposed LIGO-India project. LIGO-India, the third of the LIGO detectors (currently one is in Louisiana and the other in Washington, USA), is a mega science project in collaboration with the United States to build and operate a gravitational-wave detector on India soil, like the one that detected the first gravitational waves. LIGO-India, the third of the LIGO detectors, is a mega science project in collaboration with the United States to build and operate a gravitational-wave detector on India soil, like the one that detected the first gravitational waves. As the director also of the Atomic Energy Commission of India, Bhabha formed the Atomic Research Centre (named in his honour as Bhabha Atomic Research Centre; BARC) for peaceful, use of nuclear technology. BARC channelized the formation of the Raja Ramanna Centre for Advanced Technology (RRCAT) at Indore in 1984. The advance lasers and quantum optics that are crucial to maintain sensitivity of the LIGO-India experiment will be lead by scientists at RRCAT. In 1986, the Institute for Plasma Research (IPR) in Gandhinagar was set up. The scientists at IPR will lead the ambitious effort of building 16sq km of vacuum chambers that will form the L-shaped interferometer path for the LIGO-India experiment. When Bhabha led the Scientific Advisory Committee for the Government of India, he initiated plans for ambitious space programme in 1962, which later evolved as the Indian Space Research Organization (ISRO) and the formation of Department of Space. These organizations, along with Department of Atomic Energy and Department of Science & Technology, have remained central funding agencies for astrophysics and fundamental science research in India. Bhabha's legacy in 21st century India is well captured in the LIGO detection paper, "Observation of Gravitational Waves from a Binary Black Hole Merger", which has over 30 Indian researchers. The studies gratefully acknowledges the role of these Indian funding agencies, which Bhabha charted within just 25 years of his active role in India. This detection paper will be cited by every scientific publication in the field of astrophysics and Einstein's Relativity for at least the next 50 years. If we want to Make in India, and Discover in India, then without any dilution, we should work towards promoting a "scientific temper" in India. At time when we Indians are participating in the greatest scientific feats by mankind, we are also being fooled by pseudo- and anti-science practices that are rampant in every corner of this nation. It is a sad state when miracle-making godmen, astrologers, vastu-shastra, and hoax medical products get more income revenue from our citizens than the total science budget of top institutes. The acknowledgement to the Indian scientist by Prime Minister Modi on the day of the announcement of the gravitational-wave detection thus and today a historic announcement for approval of LIGO-India project set the right tone on the priorities of our scientific nation in the making. And if we want to Make in India, and Discover in India, then without any dilution, we should work towards promoting a "scientific temper" in India. It is only then we carry forward Homi Bhabha's legacy for India in the science of tomorrow. The article first appeared in Huffington Post India.